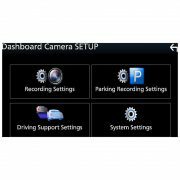 Add the Kenwood DRV-N520 Drive Recorder assistant and dash camera to select Kenwood multimedia receivers to enhance your driving experience. 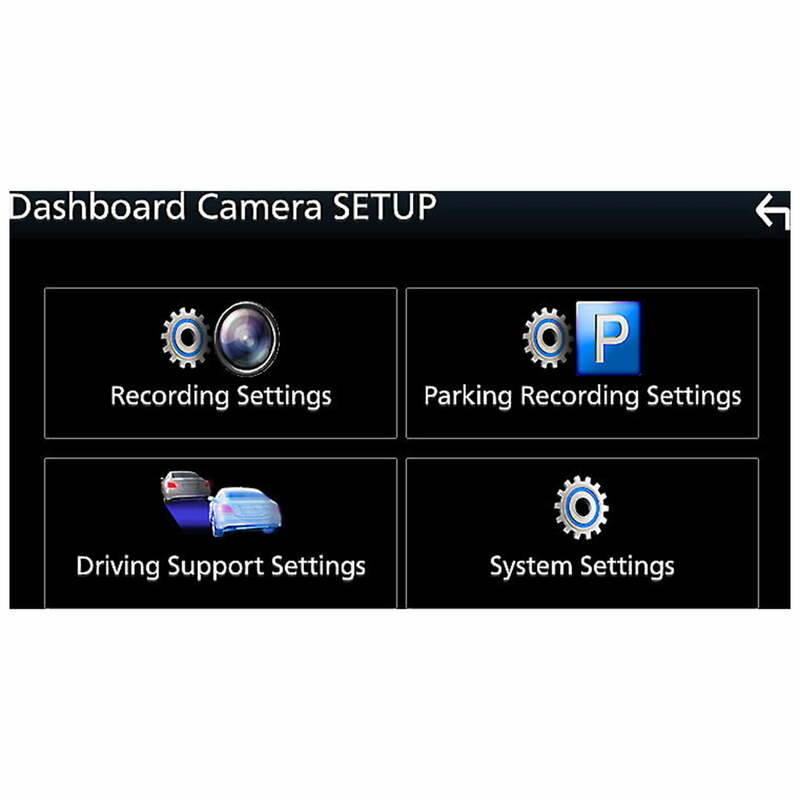 When it’s connected to the receiver’s front camera input, you’ll gain an in-dash view of whatever this dash cam records, plus departure delay warnings, collision alerts, and more. 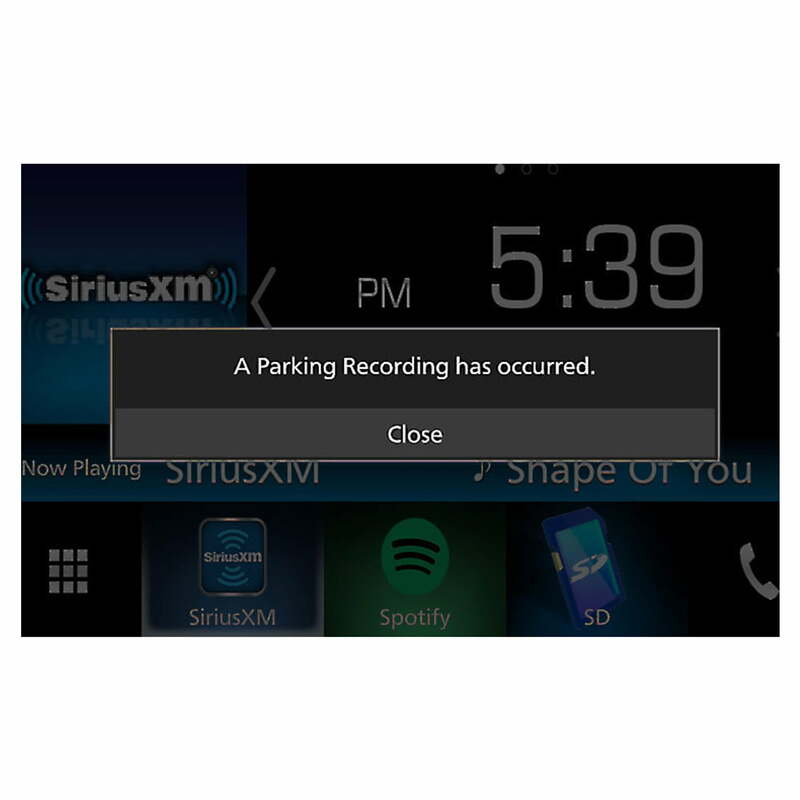 When connected to select Kenwood touchscreen receivers, you’ll receive warnings like this to help you drive more safely. 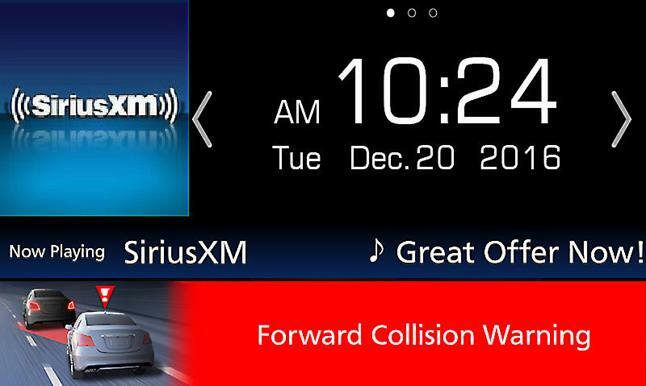 Collision Avoidance Warning provides you with audible alerts if you’re traveling too close to the vehicle ahead of you. Departure Delay Warning gives you a heads up when you’re stopped if traffic in front of you has started to move again. The Kenwood DRV-N520’s fully automated camera will start recording once the engine is turned on and stop when the engine is turned off. When you’re driving, this camera records a high-resolution, Full HD, wide-angle view of the road to keep a record of anything unexpected. 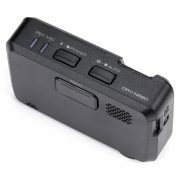 High Dynamic Range technology compensates for sudden lighting changes to ensure you’re always recording the best picture possible. 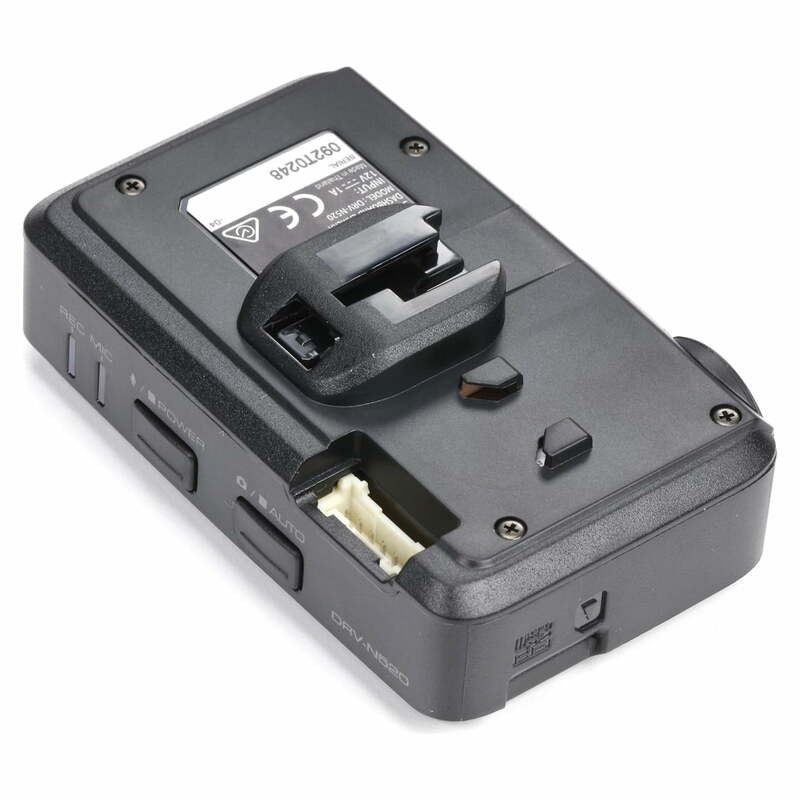 If you’re involved in an accident, this device’s built-in G-Sensor will detect hard braking or a collision, then save the last, current, and next recordings, preserving a complete record of the event. Video is saved to the included microSD™ card for playback, using the Kenwood Drive Reviewer PC software. 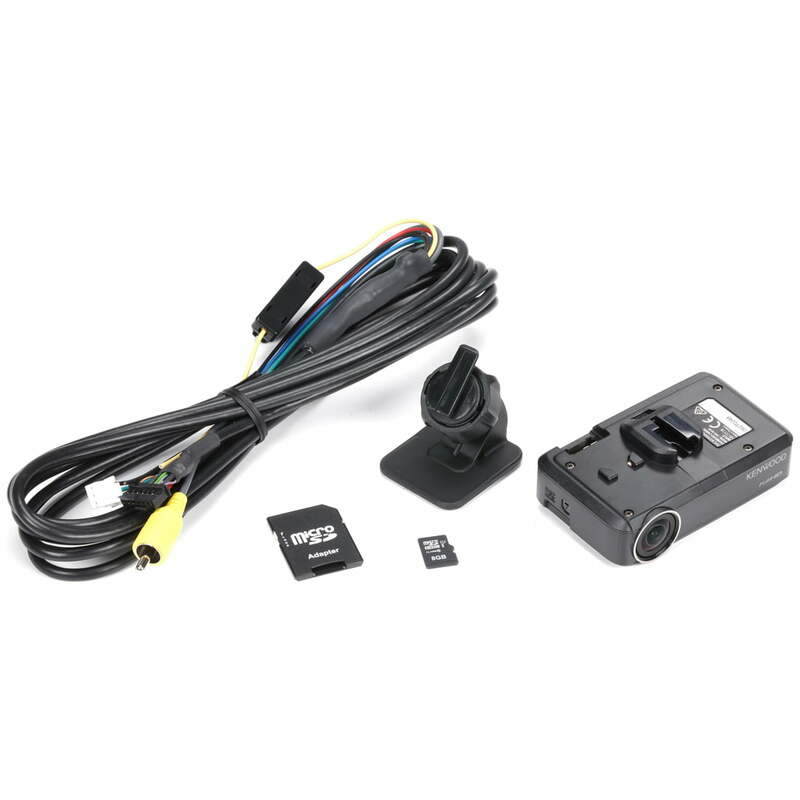 You can also set the DRV-N520 to record when the ignition is off — a built-in motion sensor will activate when triggered and record whatever (or whomever) is on the other side of the windshield. 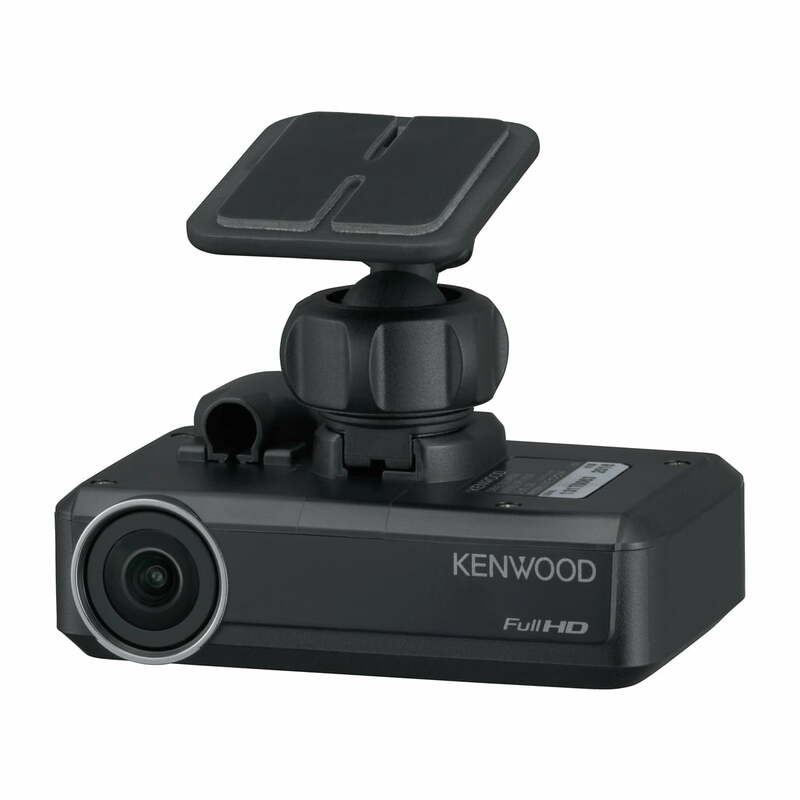 Kenwood multimedia receivers that are compatible with the DRV-N520 dash cam include: DNX994S, DNX874S, DNX694S, DNX574S, DDX9904S, DDX9704S, DMX7704S, DDX6904S, DDX6704S.